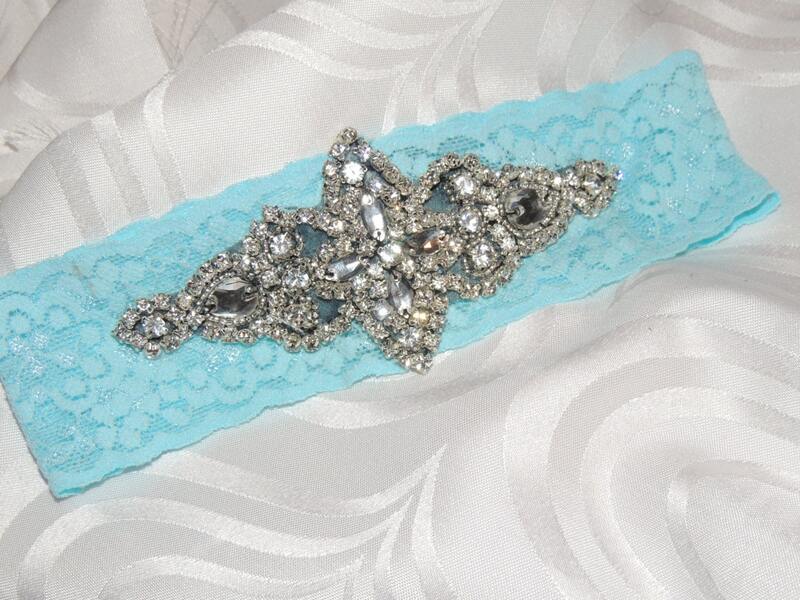 Lace Wedding Garter with Crystal and Rhinestone Accents! 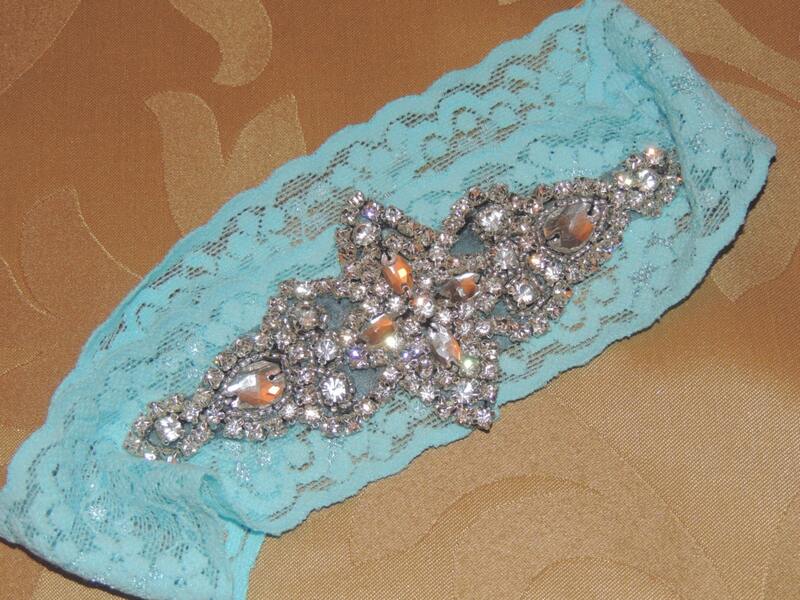 This vintage inspired lace garter features a gorgeous rhinestone beaded crystal accent! Available in any color, this one is perfect for your something blue or Aqua / Turquoise Color Theme! Measure around your entire thigh about 4 inches above your knee. Custom sizes available upon request. Size should be indicated in your order notes, along with the date needed. 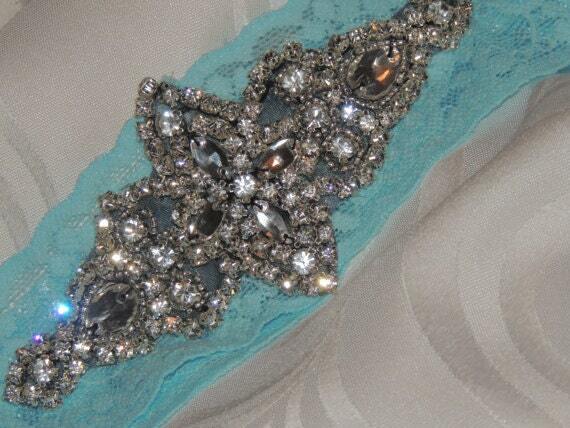 If you need your garter sooner than 3 weeks from date of order, please convo us first. If no size is indicated you will receive a 19 inch garter. Currently, the applique pictured SECOND is in stock. If you wish to wait for the first one to arrive, please indicate that with your order. Other styles available in our shop!